A Clark County woman spotted a moose roaming on her yard Wednesday. 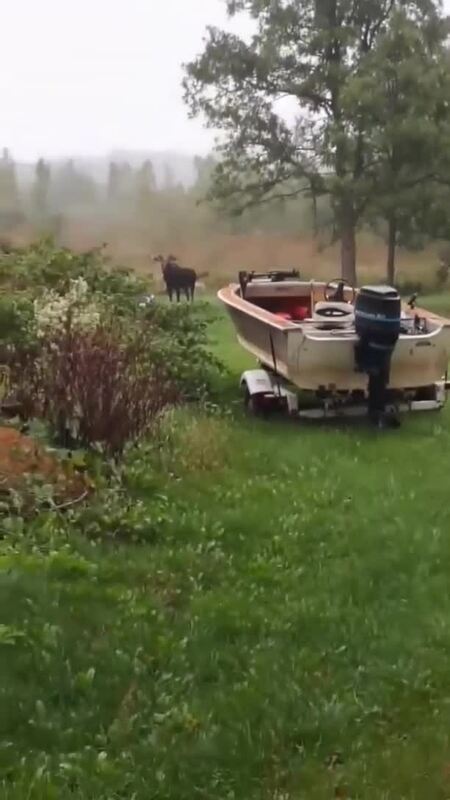 Marci Tetzlaff said the moose strolled into her yard in the morning, eating leaves and chilling with her cows. The sight caught her by surprise, saying she never saw a moose in the area before. Tezlaff lives in Worden, Wisconsin, about 40 miles east of Eau Claire.